According to fire officials on the Big Island, a "lava bomb" pierced the roof of a small tour boat and made a large hole in it. The initial injury count was 13; that number was later raised to 22, according to a fire official, who said four people were transported to a local hospital by ambulance. ​About 52 people were aboard the boat when the incident happened: 49 tourists and three crew members, Hawaii News Now reports. 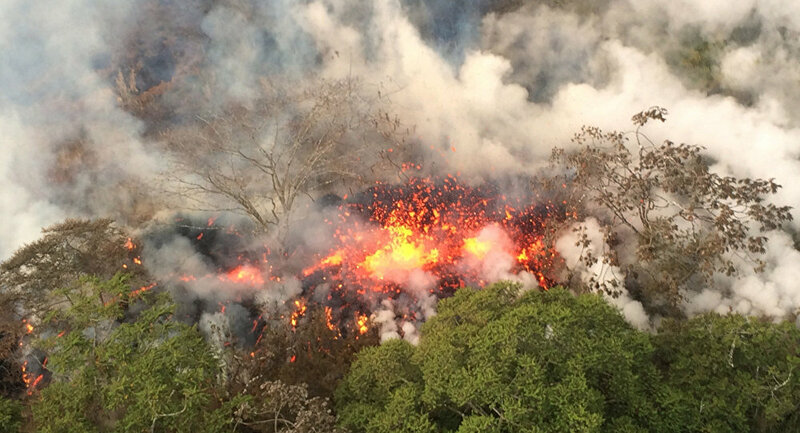 Since May 3, the Kilauea volcano has erupted on a semi-regular basis. The volcano is considered one of the most active of the volcanoes that created the five main Hawaiian islands. ​The Monday incident is related to the the ongoing volcanic event, dubbed the 2018 lower Puna eruption. Lava has shot up 300 feet in the air at certain points during the ongoing eruption. ​About 600 houses have been covered by the lava since the lower Puna eruption started, according to Mayor of Hawaii County (Hawaii's Big Island) Harry Kim.